The Italian Americans first appeared in 1971. The second edition was published in 1980. This attractively priced reprint of the 1980 edition in a paperback format makes this acclaimed classic available to the general reading public for the first time. 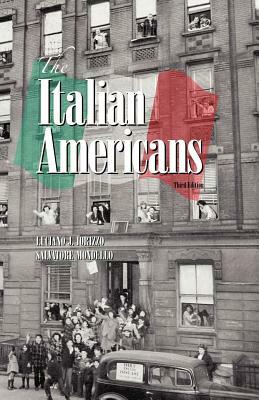 This book is the definitive achievement on the Italian American experience and has received rave reviews as follows. "This is an excellent introduction to the history of Italian immigrants in the United States." - Samuel Barnes, Department of Political Science, University of Michigan Ann Arbor, The Annals of the American Academy. "It is written with verve and conviction. It is the first attempt by professional historians to tell the story of Italian Americans from the seventeenth century to the present." - Arthur Mann, Professor of American History, University of Chicago. "It is a credit to Professors Iorizzo and Mondello that they have written what is probably the best scholarly treatment available in a single volume." - Ernest S. Falbo, SUNY at Buffalo, Italian Americana "Those laymen who take pride in their Italian origins will want to have this book in their homes to read, reread and share with the members of their families." - Lewis Turco, Professor of English, SUNY at Oswego.